Everyone knows about Viz Media’s release of Sailor Moon. The biggest highlight is definitely the new dub that replaces the butchered crap DiC dished us when we were little kids. I am always apprehensive of purchasing new versions of things that I already have. This is especially true if it’s a “remaster” or “HD” release of something that was made before high definition even existed. For the longest time I just couldn’t justify repurchasing Sailor Moon because of some blu-ray release gimmick; however, this release isn’t just about bringing Sailor Moon back or making it more available. It’s about correcting the mistakes made with this series the first go around in the States. Twice, Viz has made me go back on my word. I am convinced that this dub is superior to the DiC dub and the uncut ADV release for a multitude of reasons I will get into. At first, it seems like there isn’t much to run home about but when you compare the ADV release, the difference is noticeable. Now, you really need to have the ADV dvds to understand that the Viz Media remaster is superior in image quality. The lines are more defined and the colors are sharp and vibrant. The colors look modern in refreshed while the ADV colors look dated and fuzzy. Of course, you won’t realize this if you’re purchasing Sailor Moon for the first time. As expected, the release has the black bars down the sides to remind everyone of what it was like to watch television on an SDTV. Now, I’m not saying the quality of the dvds or blu-rays in this set are terrible – the picture just isn’t that amazing. The show has aged and it really shows all around. I’m not sure there is much of a difference between the quality of the blu-ray and dvds in this set. In fact, I don’t think I could really tell the difference and I watched the disks interchangeably. So as I went from blu-ray disk 1 to dvd disk 2, I didn’t see any amazing change in color or image quality. This set probably would have been better off just leaving the dvds out entirely. This release has the same issues that all old sets have. The sound quality is not very consistent. It bugs me to no end that we haven’t found a way to make old anime tracks sound less muffled. When I first popped in the blu-ray, the loud and clear background music on the blu-ray menu made me feel tingly. The sound was at the perfect clarity and volume and then I went to the episodes and the sensation quickly disappeared into disappointment. I had to increase the volume on my television in an attempt to match the beautiful sound from the menu. I wish Viz could at least keep the volumes consistent so that I don’t get filled with high expectations or frustration. Listening to the background effects and music in the episodes is a lot like standing outside of a club. You can hear everything but there is a wall between you and the sound. Fortunately, this isn’t the case with the voices since that is all fresh just for this release. 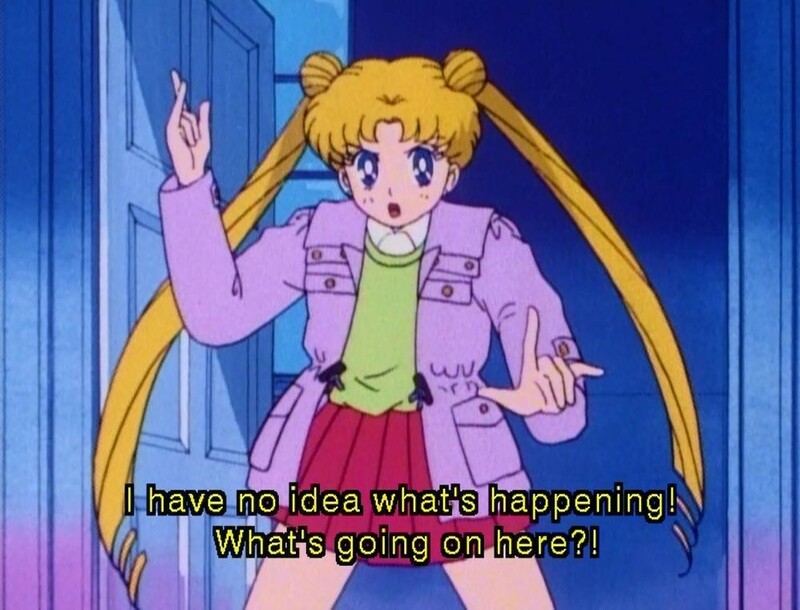 The voice acting in Sailor Moon R is seriously impressive. The writing more closely follows the original Japanese and there are topical jokes thrown in making fun of the poor fashion choices of the 90s and other things. Usagi and the gang all keep their real names instead of us being subjected to Serena who can’t hold onto the same voice, Molly the girl from Brooklyn, and Luna the cat from the UK. The list goes on and on about what I hated about the DiC dub. 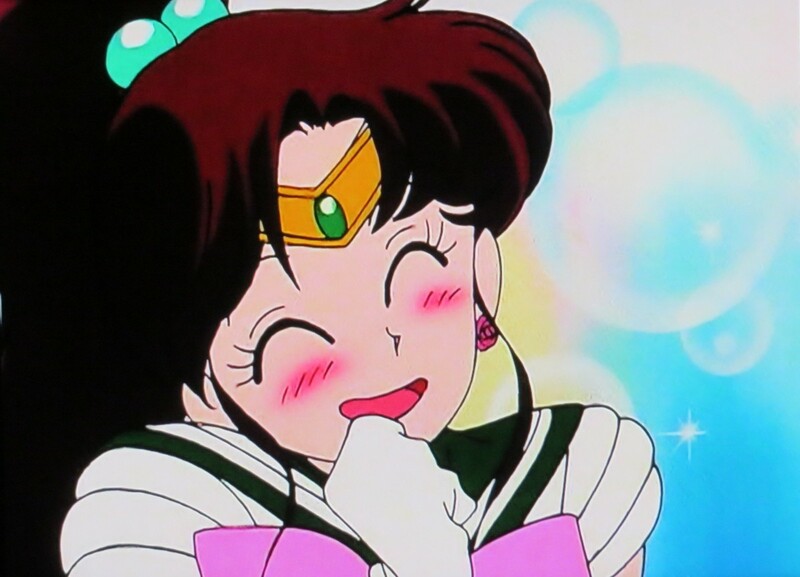 Oh, and if you like that crap – it means you like some other-world Sailor Moon plot and you don’t have the right to say anything negative about the Viz Media dub because it is more accurate and this is how it should have been the first time around; let me end the nerd-rage run on sentence now. The DiC dub has so many issues with it ranging from inexperienced voice acting to sliced up episodes that I don’t understand how any Moonie can stand around and justify liking that pile of poop. What really sold me with this dub was the voice acting for Chibi-Usa. 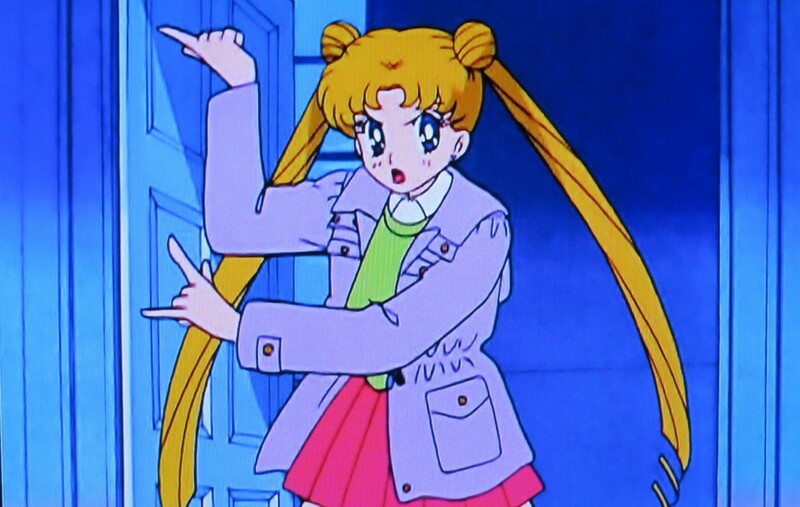 In Sailor Moon R, the annoying pink haired brat is back and I really hated her the first go around. In this dub, she is actually likeable. I didn’t think that I’d ever like Chibi-Usa but this dub has managed to change my mind somehow. It must have something to do with the voice actor having mounds of experience making cute voices in other shows. I think that’s it. It is obvious that Viz Media wanted this dub to be the best it could be. This is packaged in a slightly wider plastic blu-ray case inside of a nice chipboard box. What I didn’t expect was a placeholder for the blu-ray case for the forthcoming Sailor Moon R set 2. This means a little more space in my shelf for other sets and Sailor Moon R being all in one place – just how I like it. This doesn’t change the fact that I hate Viz breaking up the series into as many sets as possible to make this new collection overpriced. There isn’t a reason in the world they can’t release things the way Funimation, Sentai Filmworks, and other publishers do. Let season 1 be one set with one price and season 2 be another set with one price and so on. This method of packaging isn’t practical for a series as long as Sailor Moon. At least the box is 100% smaller than the monster packaging ADV used. Doesn’t that look like a plastic vhs case? 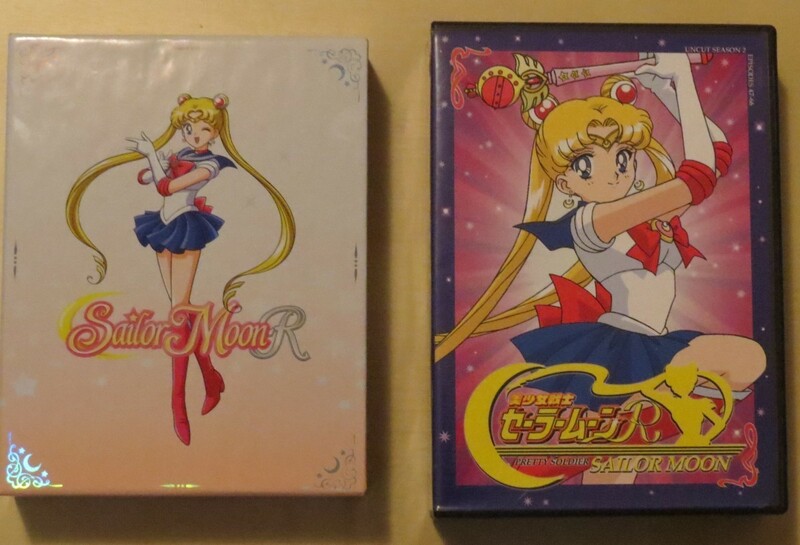 Entire packaging of Viz Sailor Moon R next to one half of ADV’s Sailor Moon R packaging. I haven’t figured out why Viz Media decided to have the dvds and blu-rays as separate sets in the same case. I’m going to guess it is because they wanted the discs to be colorful; however, double-sided disks would have saved space and plastic. Another route would have been just keeping the blu-ray and dvd sets separate so people have the option of buying one or the other. I think this is a great set and it’s really worth while for the image quality and the new voice acting. This set also gives an opportunity to share this show with a generation of new Sailor Moon fans. Yes! You must buy this!